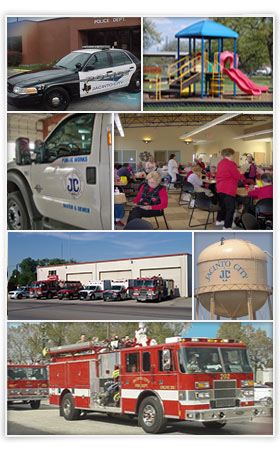 The Jacinto City Fire Department provides our citizens with Fire Suppression and Emergency Medical Services. Our EMS units are certified at the BLS/MICU level of care which utilizes state of the art equipment and practices. We also conduct fire safety presentations and perform fire inspections for our local businesses. EMS Billing Records can be requested from Specialized Billing @ 1-800-999-2417. All other records request should be directed to the Fire Chief’s office.